There’s no doubt that customer service is essential. Gartner, a marketing research firm, found that by 2016, 89 percent of the companies it surveyed expect to compete mostly on the basis of customer experience. Just four years ago, the survey showed that only 36 percent of respondents had that plan. My own experiences as a business owner and marketer lend further support to these statistics. Besides the customer-delight activities I’ve implemented in my role at When I Work, I was able to increase conversions by 250 percent for the company just by working in customer service for a few weeks. 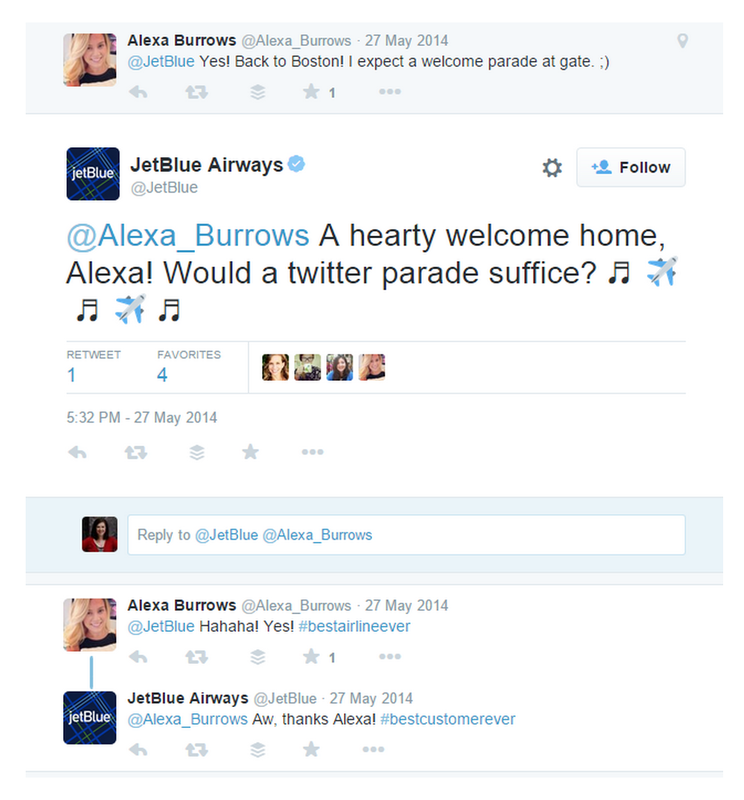 An airline might seem like the last company you’d expect to be focusing on the customer experience, but JetBlue proves that it’s the way you handle those concerns that’ll make or break you. The company has a strong social-media focus in its customer-service plan, making it a priority to respond not only to customers who mention the company in their tweets, but also those who mention the airline in general. This allows them to respond to all feedback before it becomes a major issue. Talk about going the extra mile to delight your customers! 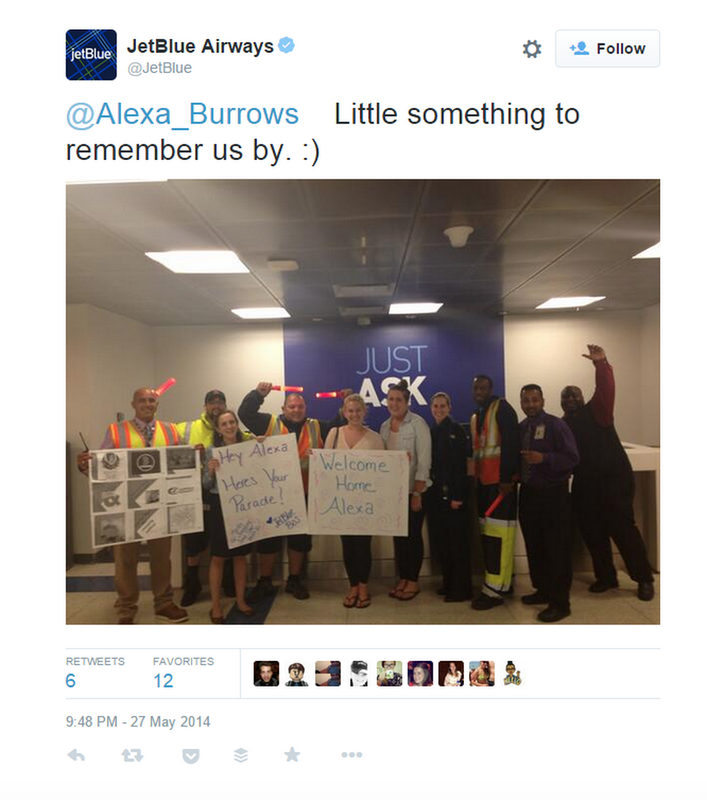 In this case, it wasn’t just JetBlue’s philosophy of customer service that made a difference -- it was the actions of its customer-facing personnel as well that made this traveler’s day. Ultimately, how your customer-facing agents act is a lot more important than what your television and radio ads proclaim. Well-treated customers can lead to increased business and a lot of free advertising. Customer service is just as important in tech companies as it is in face-to-face businesses. Rackspace is another example of a company that has won multiple awards for its excellent customer service. To start, the company trains every employee its hires to put customers first from day one, typically by conducting role-playing exercises ahead of time to improve customer assistance before issues arise. This customer-centric culture is known as “Fanatical Support” both inside and outside the company. Rackspace’s strategy worked: The company currently has more than 300,000 customers of varying sizes. Going into an upscale salon can be an intimidating experience, but not at Drybar. Founders Michael Landau and Alli Webb, who started the company in 2009, were horrified at how bad customer service had become in retail establishments in general. As a result, they focused on hiring friendly and caring stylists and staff, going so far as to specifically avoid hiring “divas,” who, despite their skills, bring a toxic attitude to the workplace. The Drybar customer experience is carefully planned to allow clients to feel like they’re the stars in their own movies. For 45 minutes, customers relax and get pampered, drinking a cocktail as their hair is styled. The focus on customer service has led to enviable success. Drybar now boasts almost 40 salons across the U.S., 120,000 customers each month and $50 million per year in revenue. As larger, low-margin stores push many small-scale retailers out of business, Ace Hardware has remained strong. The reason, its leaders say, is that employees are trained to not just be nice, but helpful. Staff go through extensive training not just about the products and services sold in stores, but also about types of customers they’ll encounter and how to help each one. According to company policy, staff can’t say “No,” without a manager’s approval. Shep Hyken, a bestselling author and speaker, shared a heartwarming story of Ace Hardware customer service. A young girl had a mood ring stuck on her finger and her mother took her to Ace Hardware, hoping for help. An employee with a deft hand and a special pair of pliers got the ring off, and the delighted mother shared her happy experience on social media. That’s the kind of free press you get when you focus on customer service. One of the best ways to invest in customer delight is to take great care of your employees -- a fact that’s not lost on Southwest Airlines. The company not only gets named as having the best customer service in the airline industry, but also as being one of the best places to work. The great employee benefits and fun employee activities boost morale, which translates to great customer service. To maintain this morale and service, Southwest focuses its hiring process on cultural fit even more than experience and skill. The company also gives employees latitude to make decisions on their own to assist with customer service. Finally, Southwest isn't shy about apologizing and doing what it can to make things right. All together, it’s a recipe for customer success. Every new customer to When I Work gets a handwritten thank-you card. This gesture sets our business apart so much so that the cards are shared on social media roughly 70 percent of the time, leading to further exposure for our brand. We also send free T-shirts to top customers and to those that request them. Ultimately, 17 percent of these recipients go on to recommend When I Work to at least one other potential new customer. Finally, although we try to avoid customer issues in the first place, if one of our customers ever encounters a problem, we’ll send them their favorite candy bar to ensure they have the sweetest possible experience with When I Work. It’s a simple and inexpensive gesture, but it’s one that brings a lot of joy to our customers. The really incredible thing about so many of the examples highlighted above is that they’re incredibly inexpensive to implement. If you’re looking to boost growth in your company, invest in delighting customers -- you’ll save on marketing while also lifting your bottom line. Have another example of great service you’ve received from a business? Share it in the comments section below.